CQube Data Systems offers a wide range of services from Maturity Assessments to On-site Project Management. 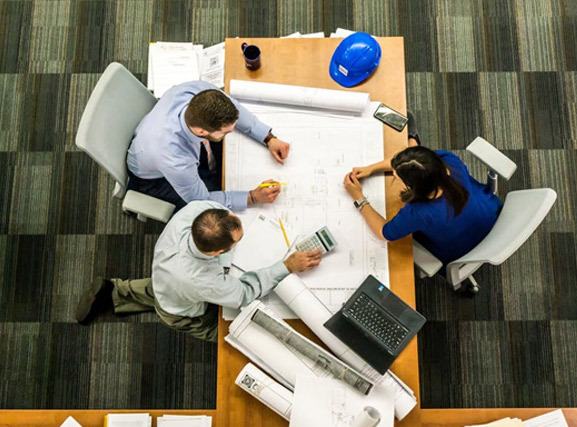 We can help you and your company achieve strategic goals though the implementation of project management process and training needed to get your project managers up and running with the tools and skills they need to make a difference. It's no secret that the most valuable treasure of any organization is its team. CQube benefits from the brilliant command of like-minded professionals who, though with very different natures, do their best to provide scientific, engineering and software solutions that completely match each client's requirement. We recruit the best talent wherever we do business, provide a dynamic work environment, make people accountable for results, and chart their growth. We power the domain knowledge in Science, Engineering, Design and post-initial performance, and sub-domain knowledge in other areas. The team's total professional experience exceeds over 15 years. CQube best developers and managers are at your disposal with a broad suite of development tools and management flexibility. Quick remote training is also available. While the members of your team focus their work on scaling new peaks, CQube will do all post-initial jobs such as enhancement and QA and develop non-core applications. We have the ability to locate professionals in any desired field of software and organize a new team, which will match each customer's requirements. Our quality is proven by the experience of our team and can be easily verified.